This years Nettlefest Potluck will be happening on March 30th at 5:30pm at the South Community Hall. This year we have a special request – please wear green to the dinner!! Nettle Picking starts at 10:30am. Meet at the Community Hall with baskets, clippers and GLOVES to Carpool to the picking spot. Kitchen starts at noon at the hall. 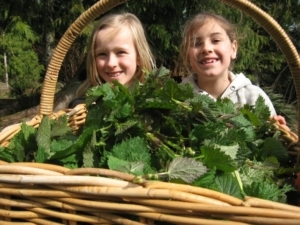 Volunteers will be making Nettle Bread and soup together. 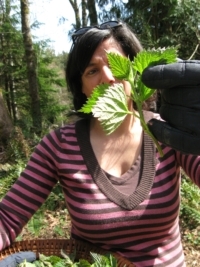 Come sing your nettle song or read your spring poem ! Come get involved in this annual Galiano celebration of Spring!!! Nettle Vendors are welcome to set up a table in the hall for the evening. Contact us if you’re interested.